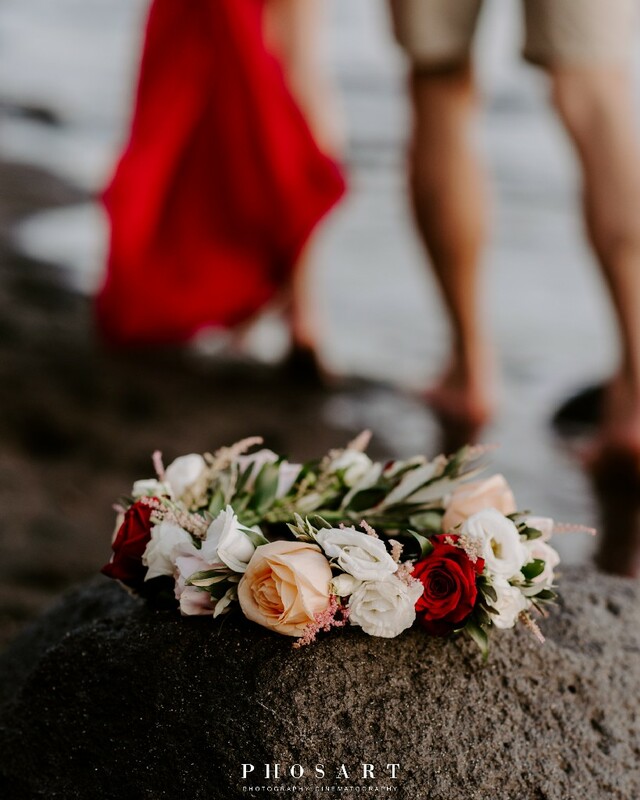 Gabor and Sophie meet in 2000 the first day in high school, they continued their journey to their senior years in which each day the loved each other more and more…the rest is history! 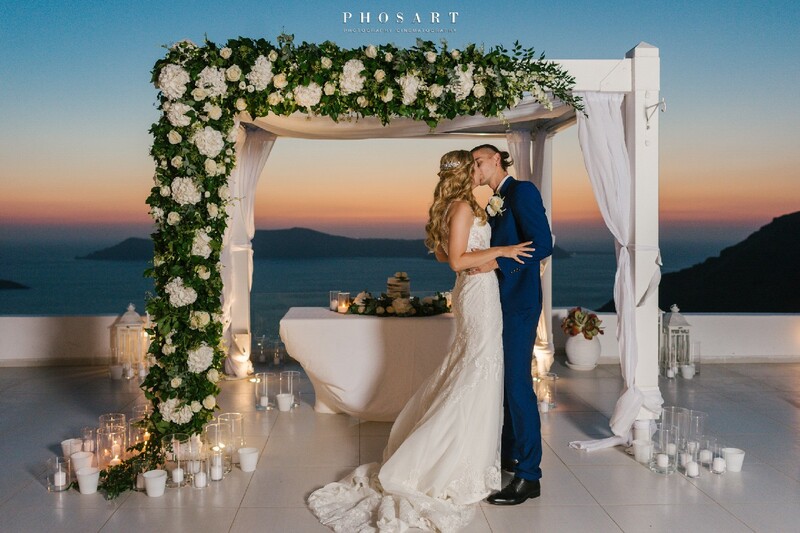 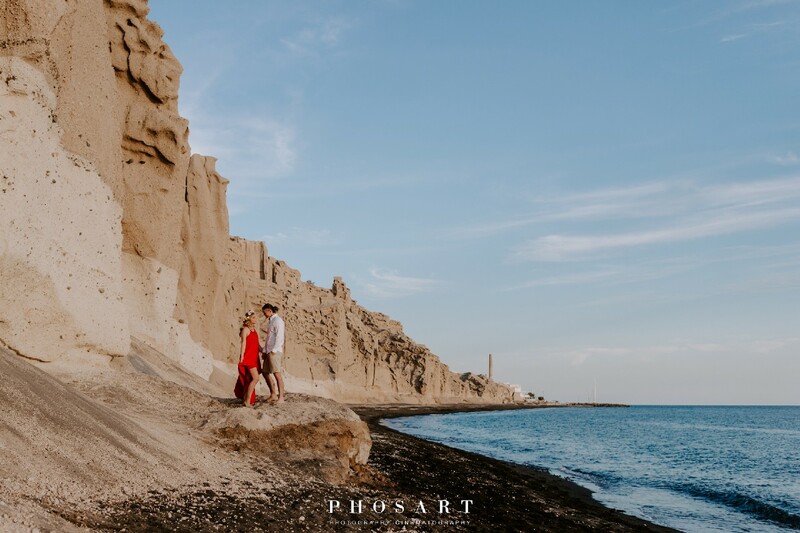 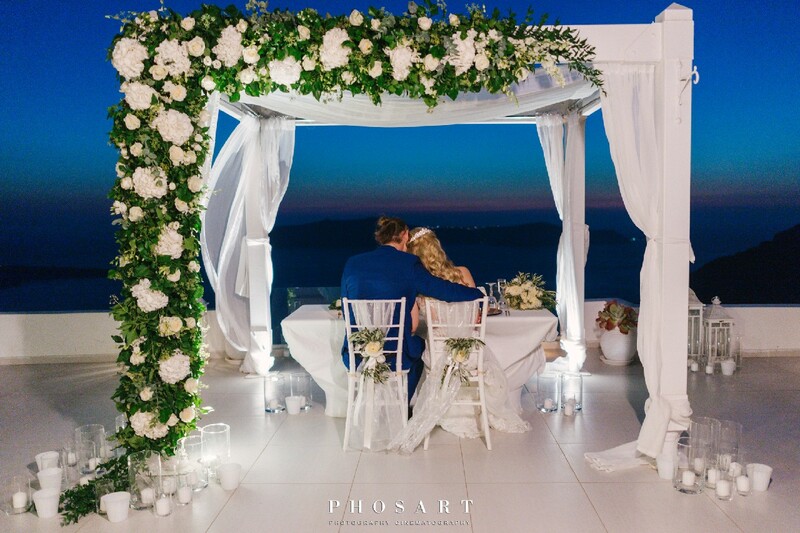 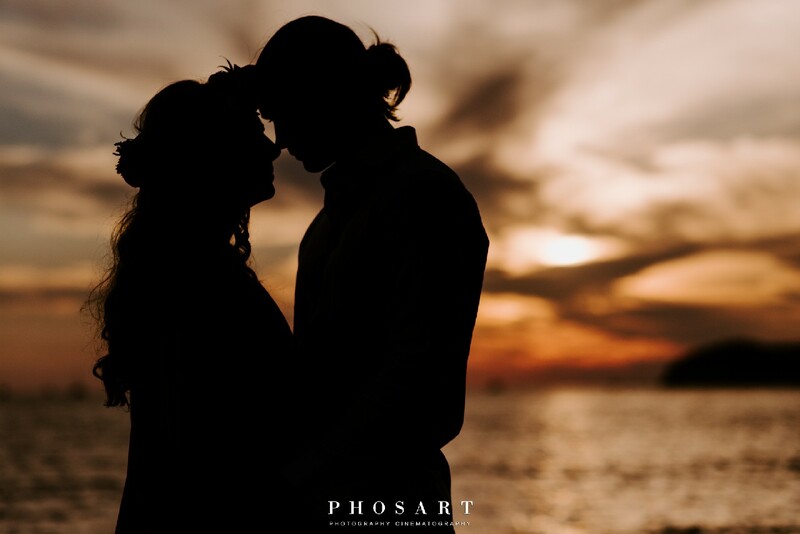 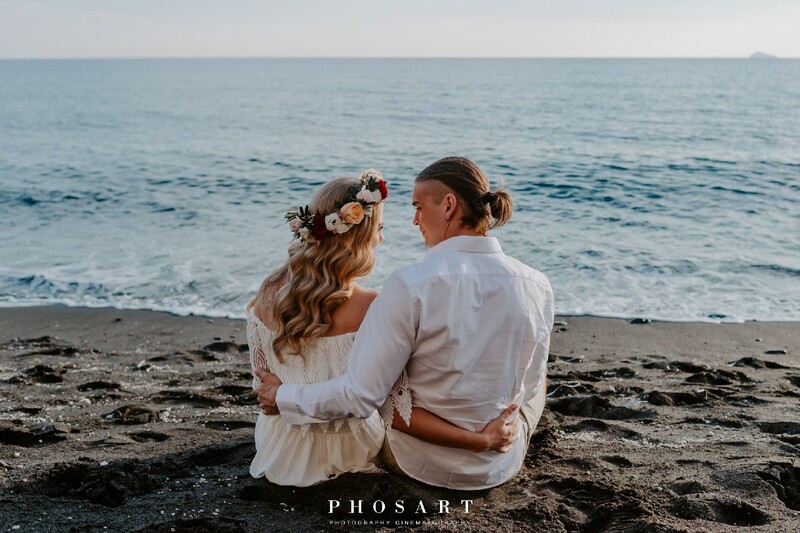 The couple had a stunning photo shooting before the wedding in Vlychada where Gabor proposed to Sophie during the sunset. 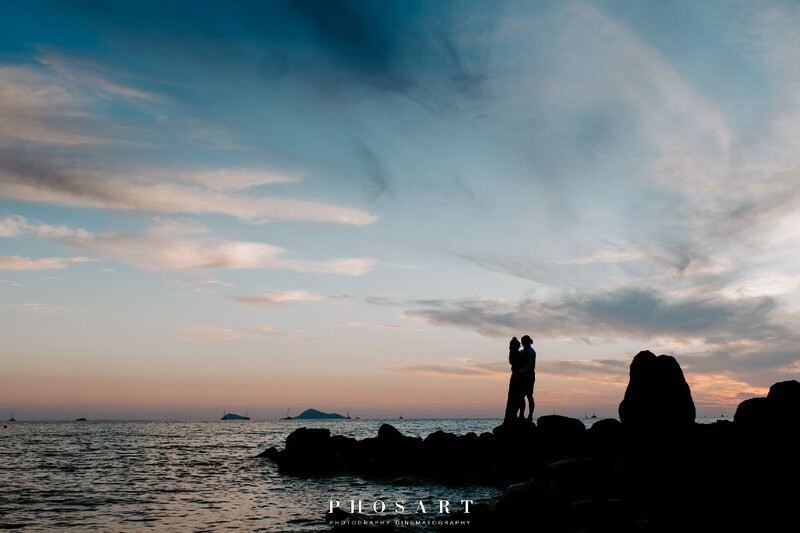 They were full in love and playful with each other. 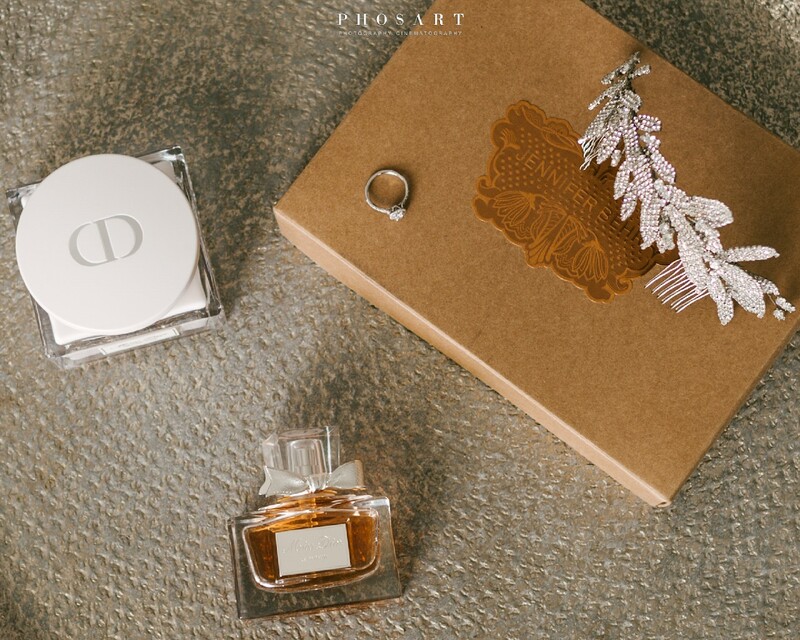 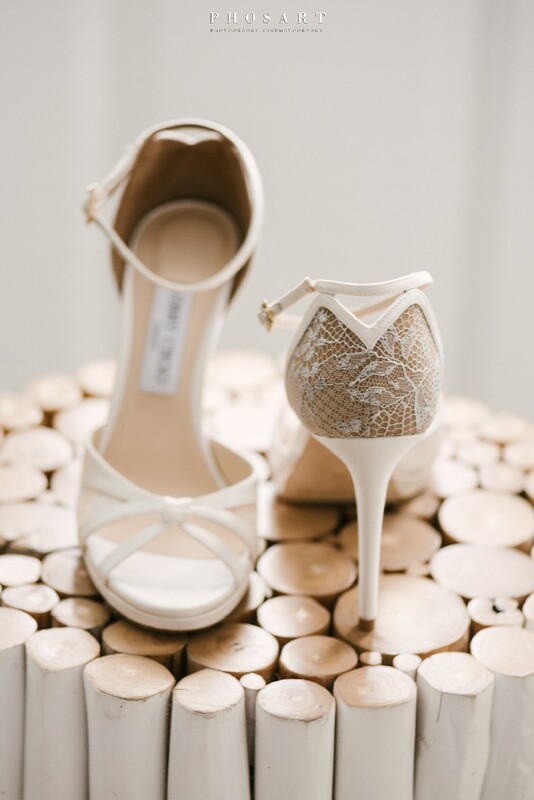 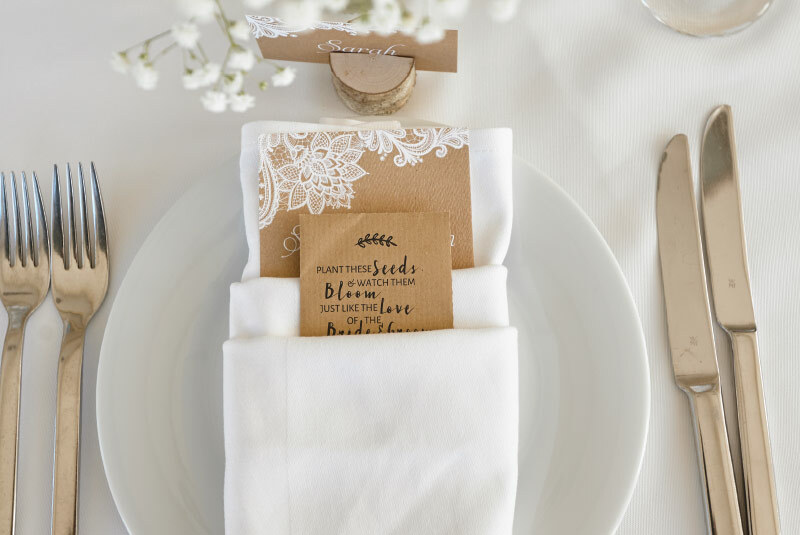 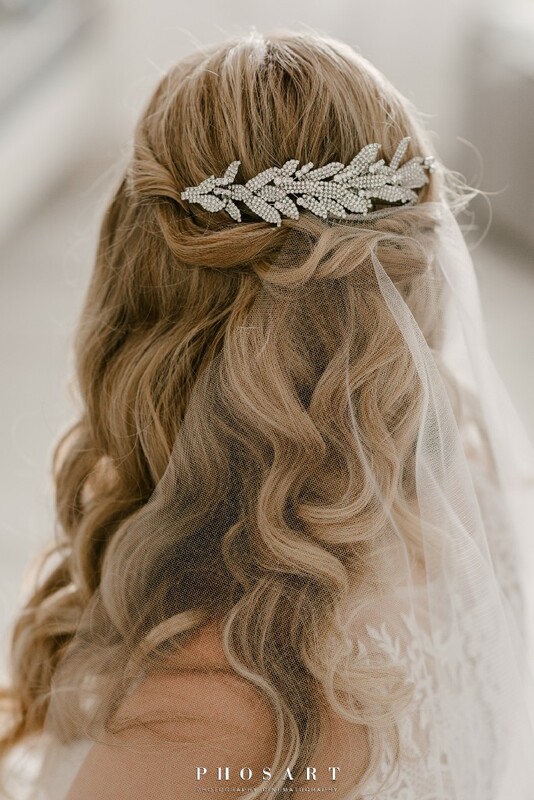 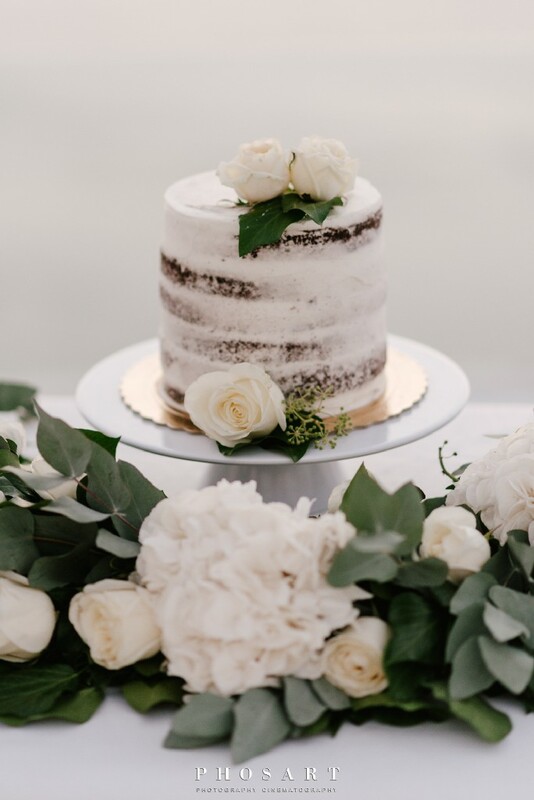 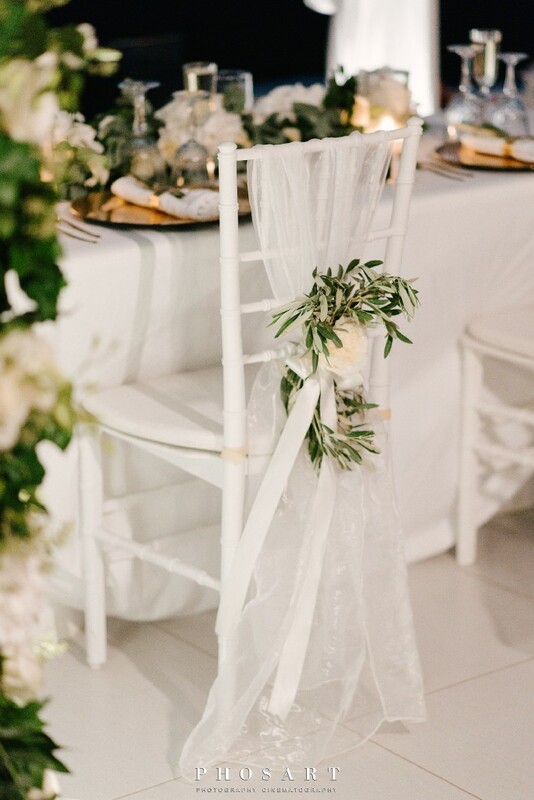 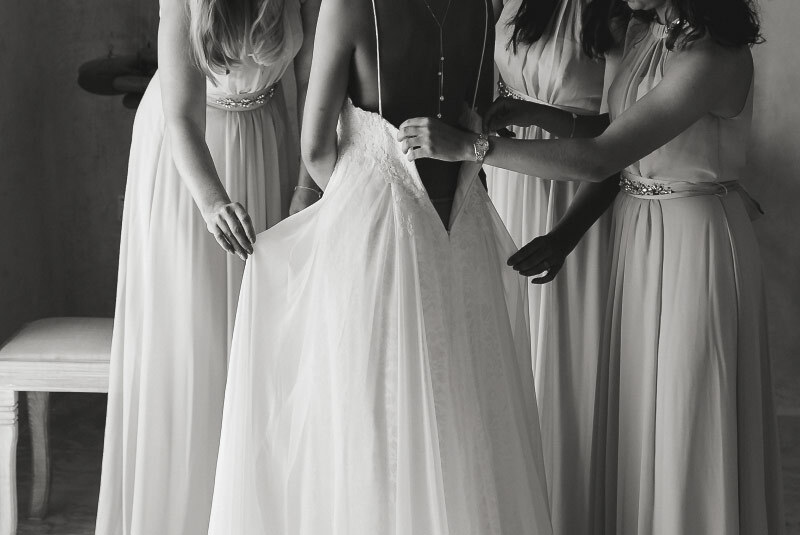 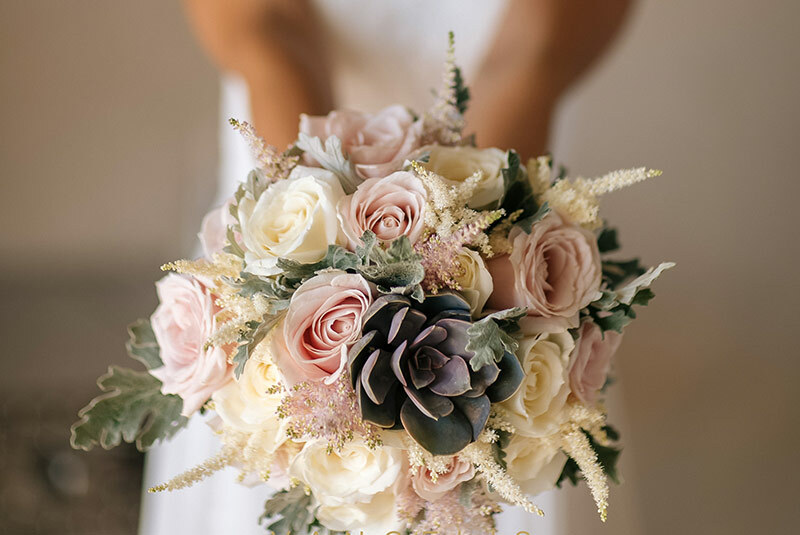 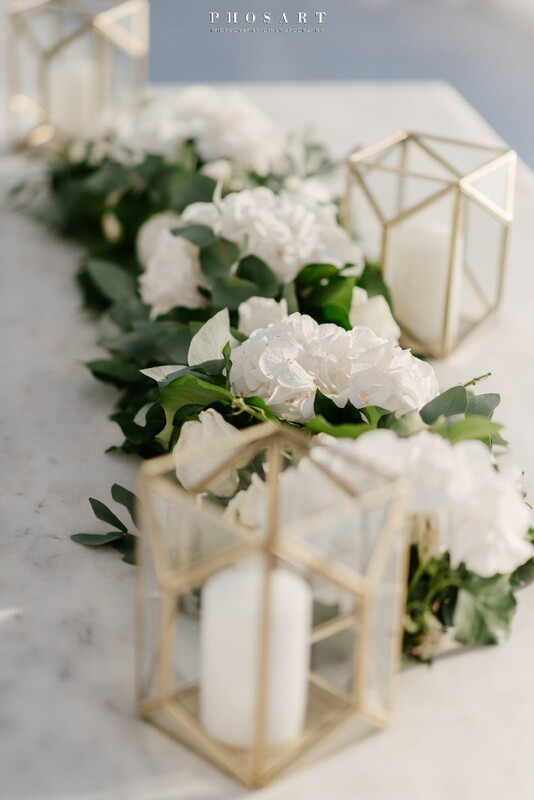 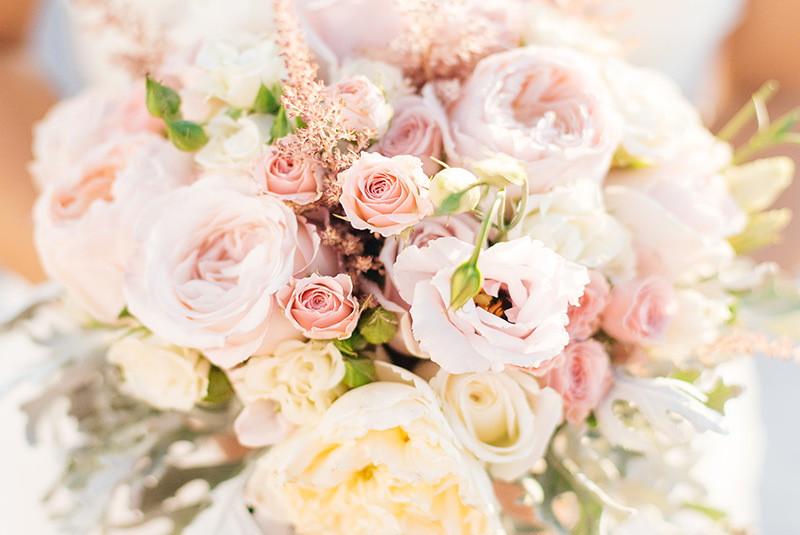 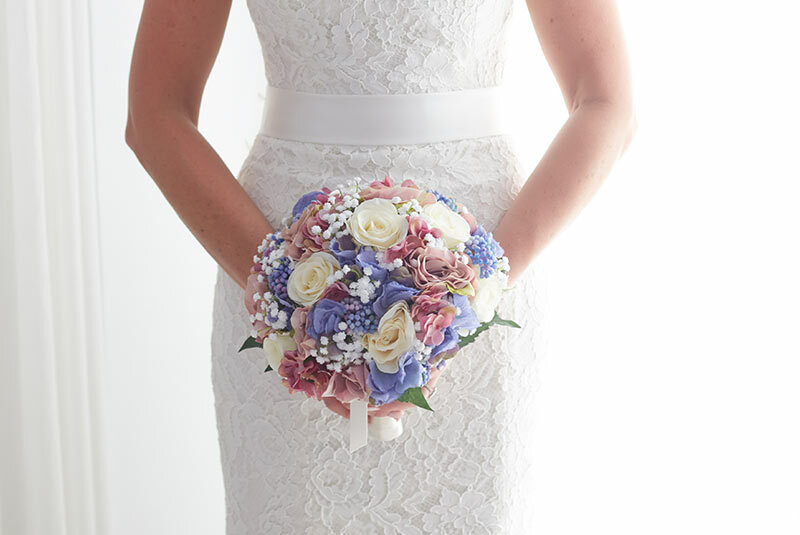 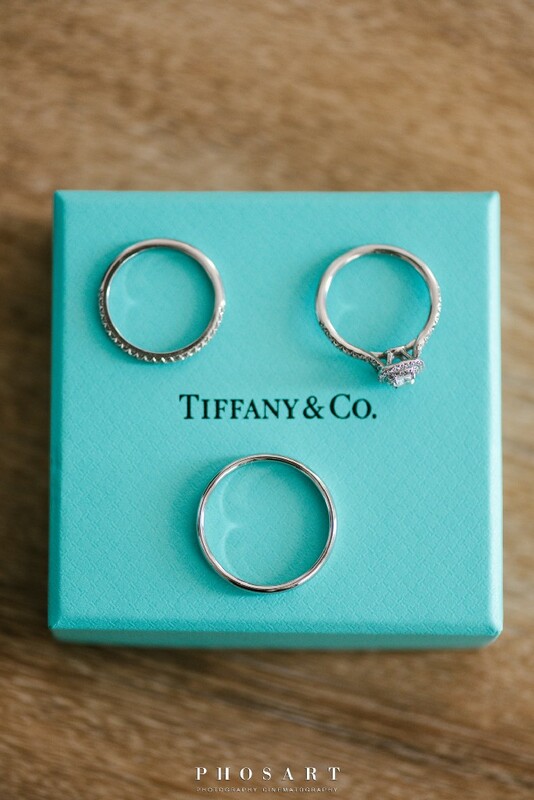 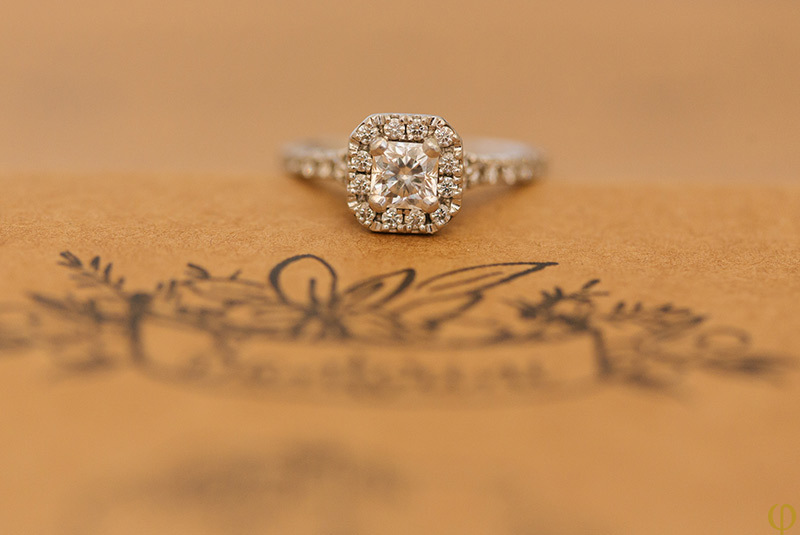 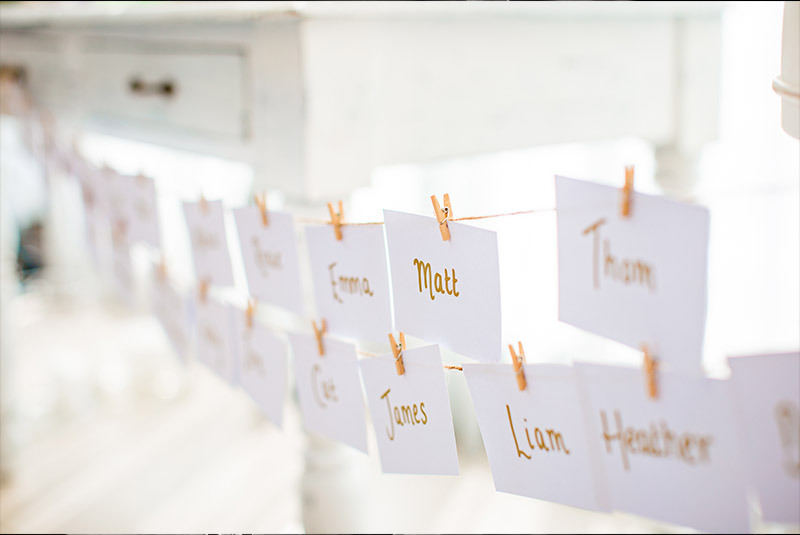 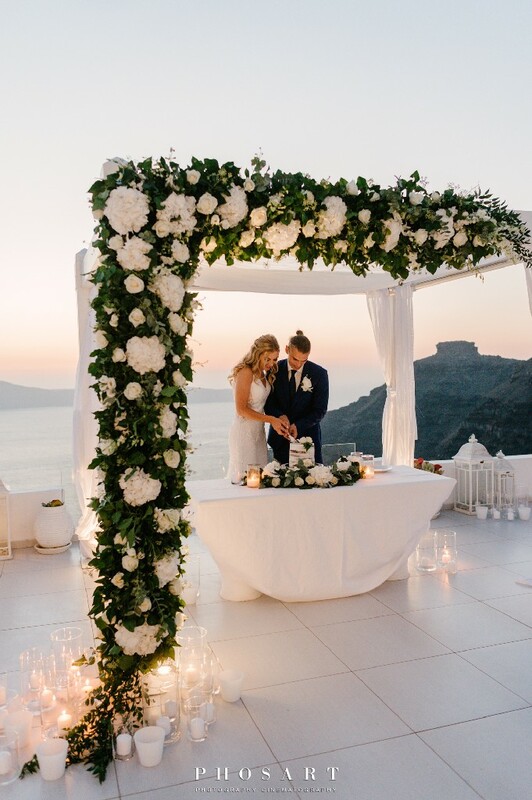 David Austin…White hydrangeas and greenery become one with the couple on their wedding day. 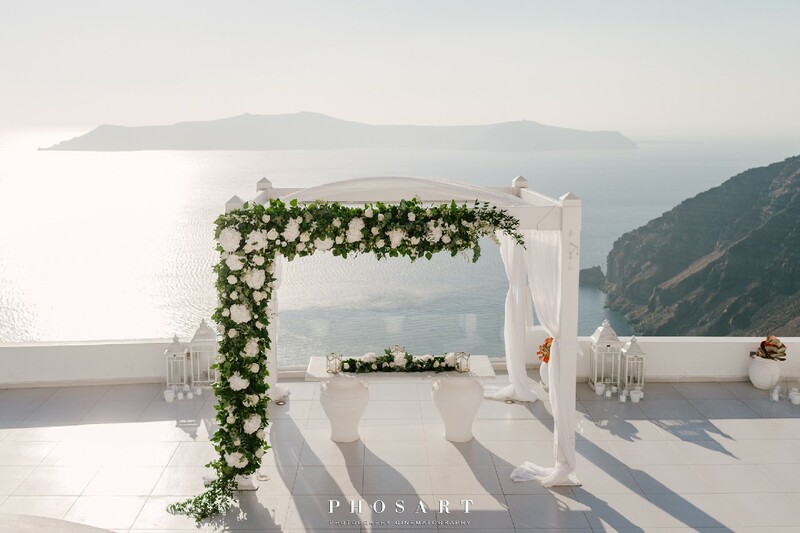 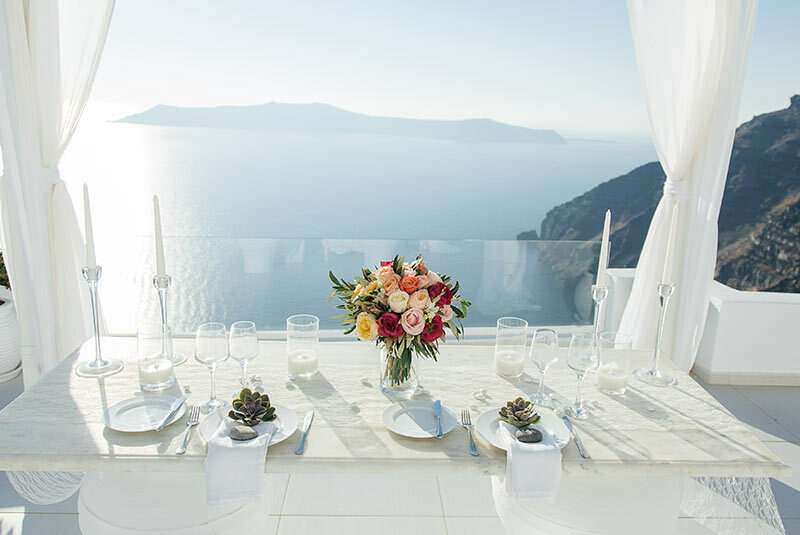 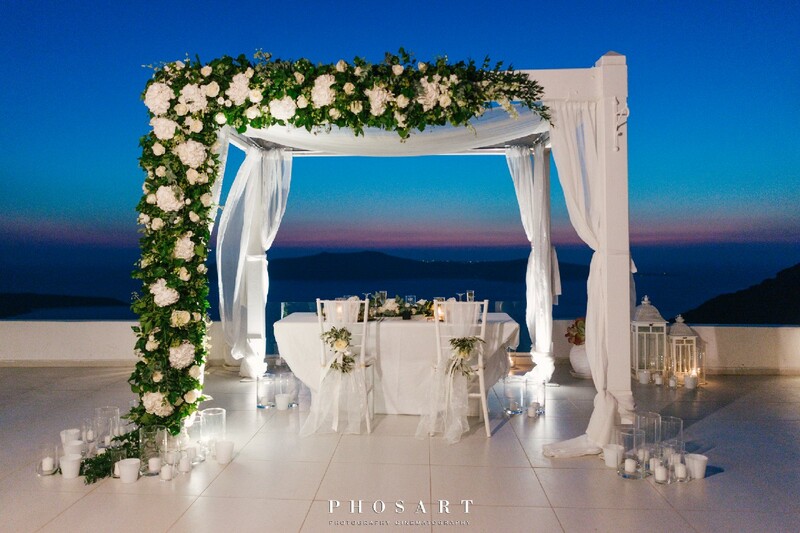 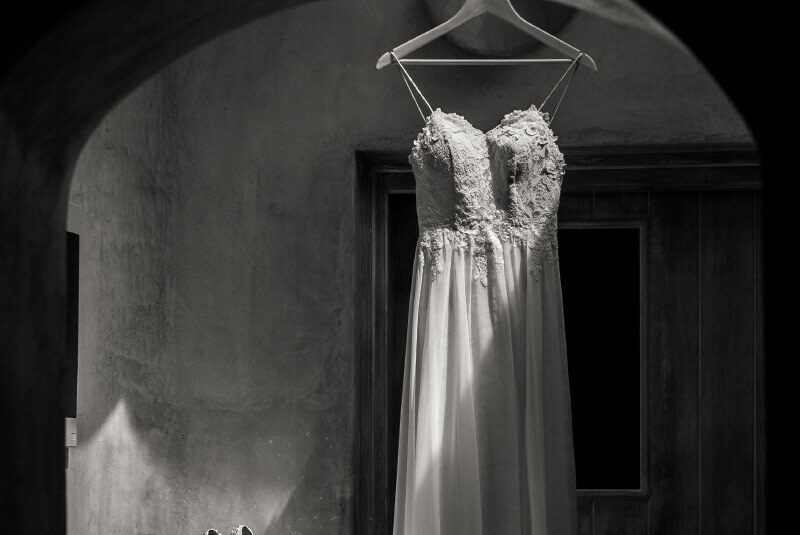 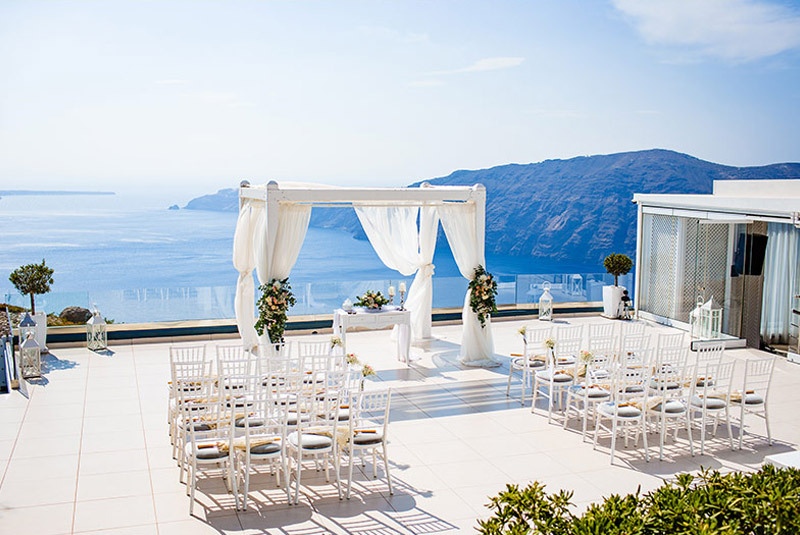 Simple and elegant was the decoration of their wedding over looking the stunning view of the volcano at Dana Villas. 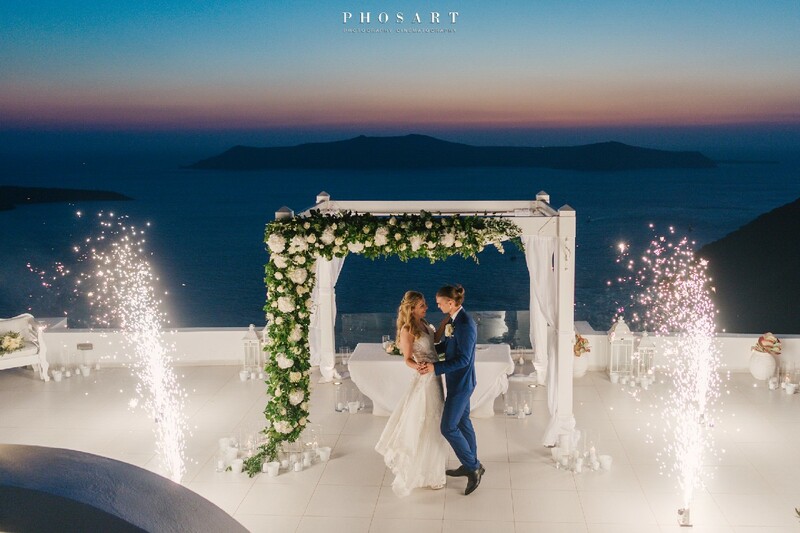 After they both said “I do” they went for their photo shooting, coming back to a terrace with their beautiful decoration, lighted candles and romantic music playing for their sunset dinner. 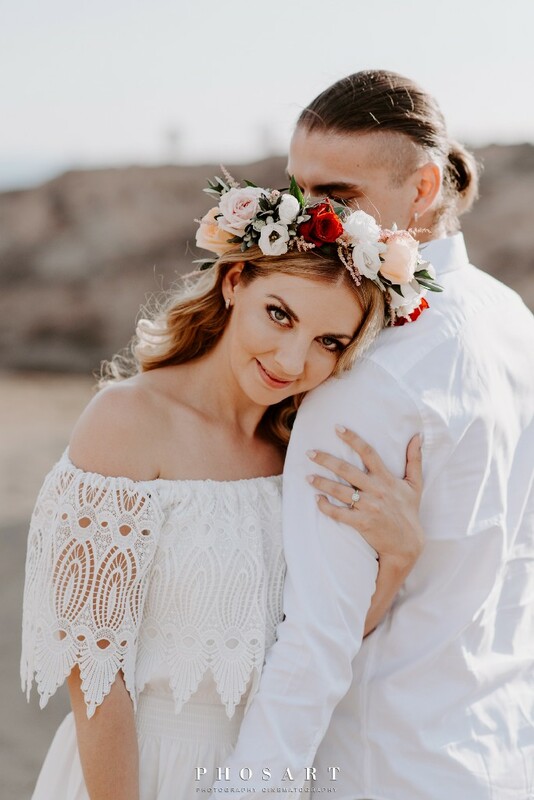 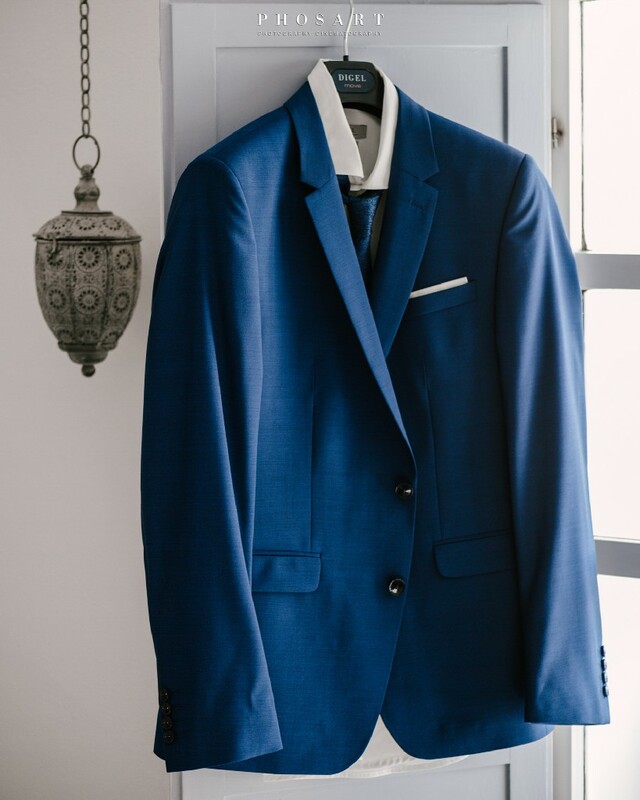 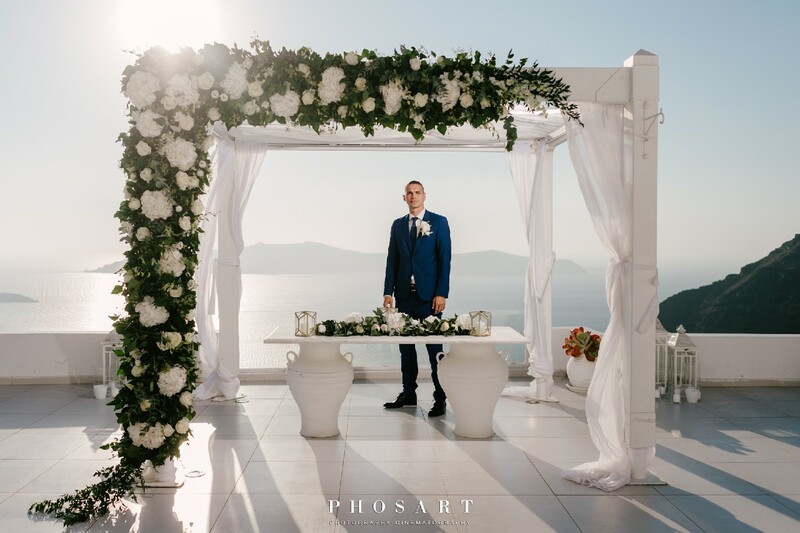 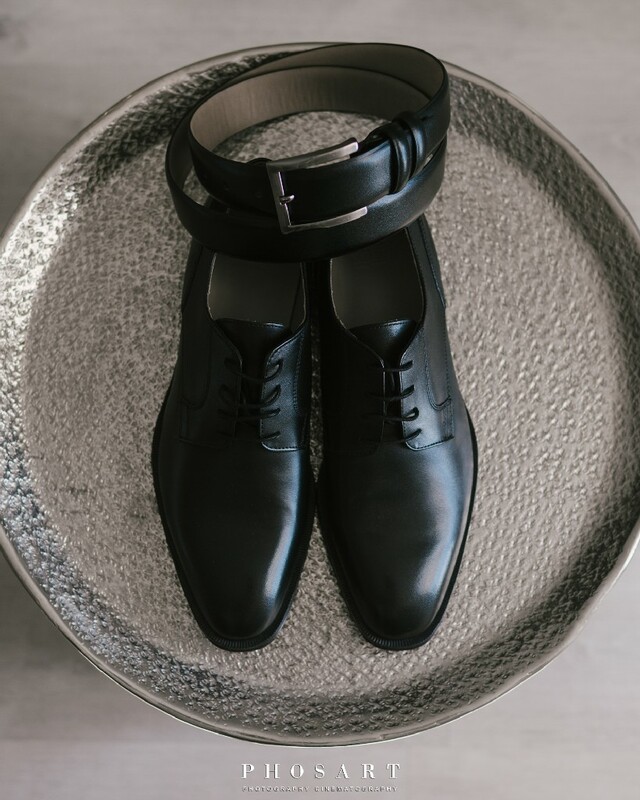 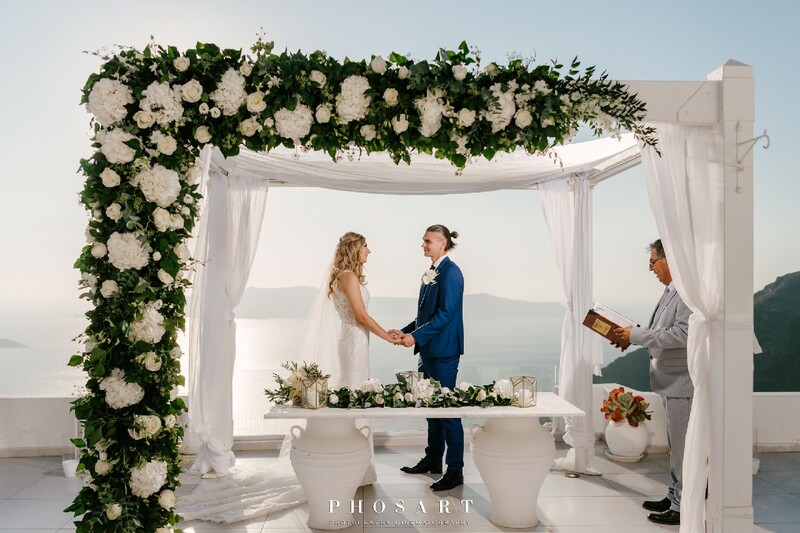 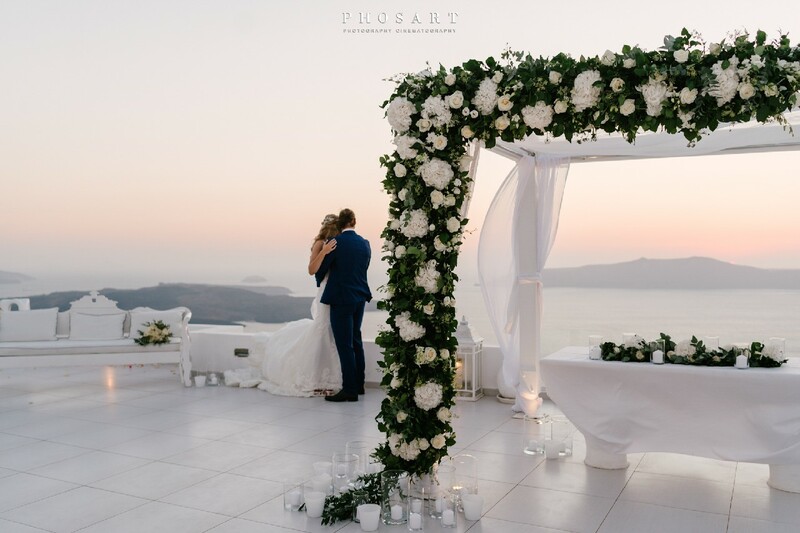 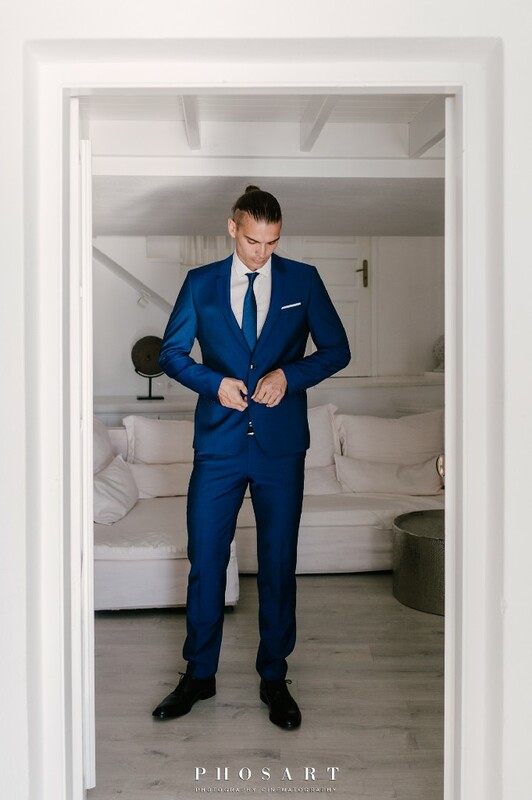 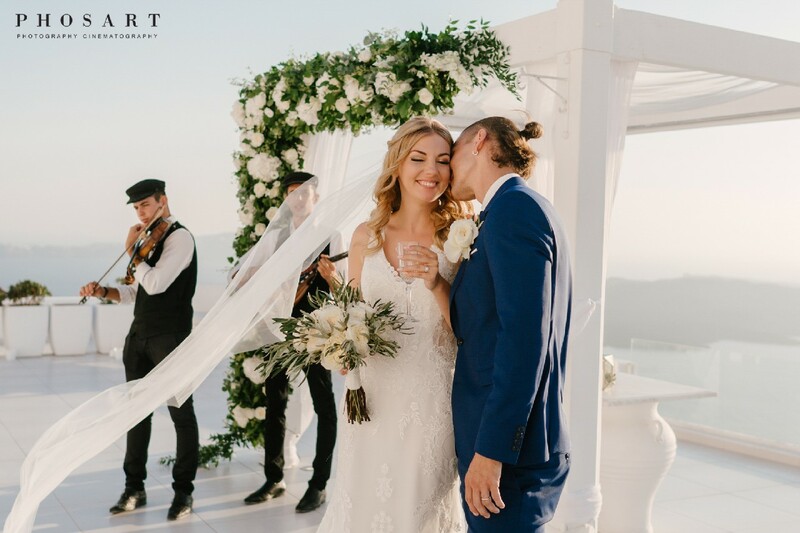 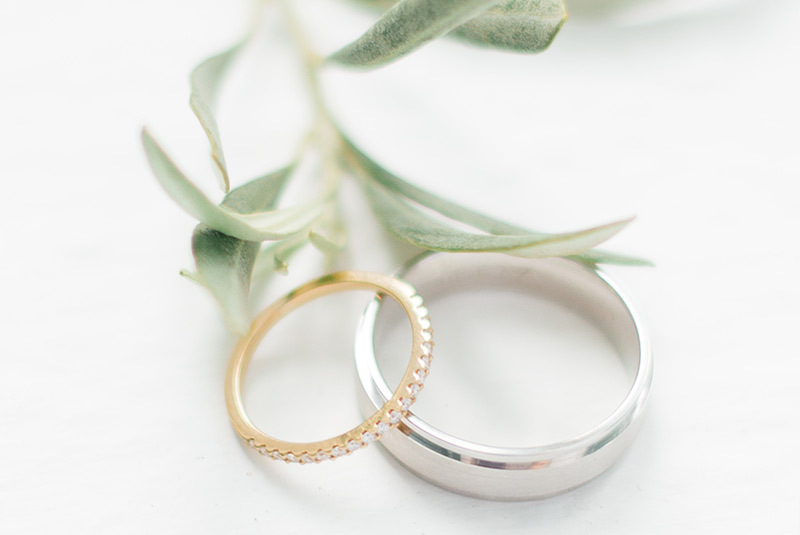 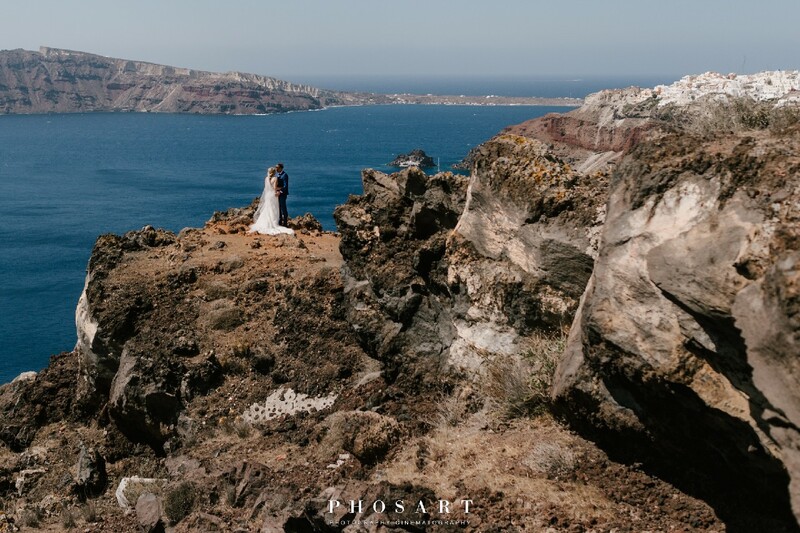 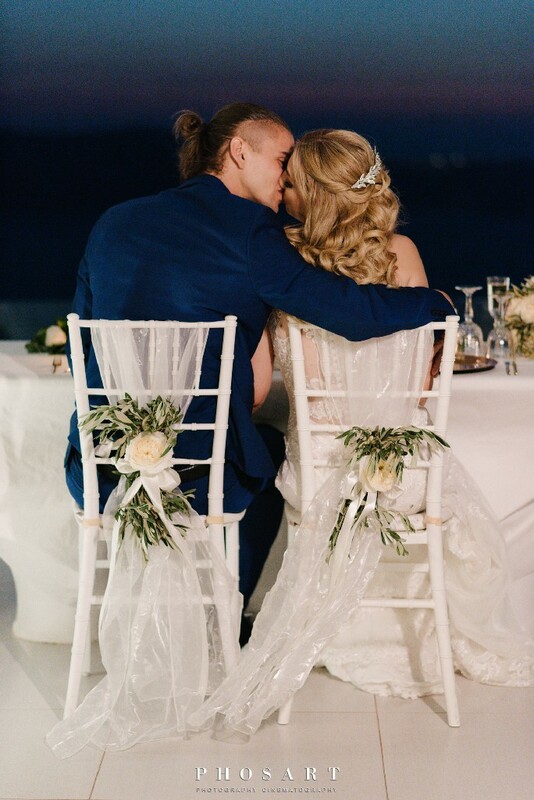 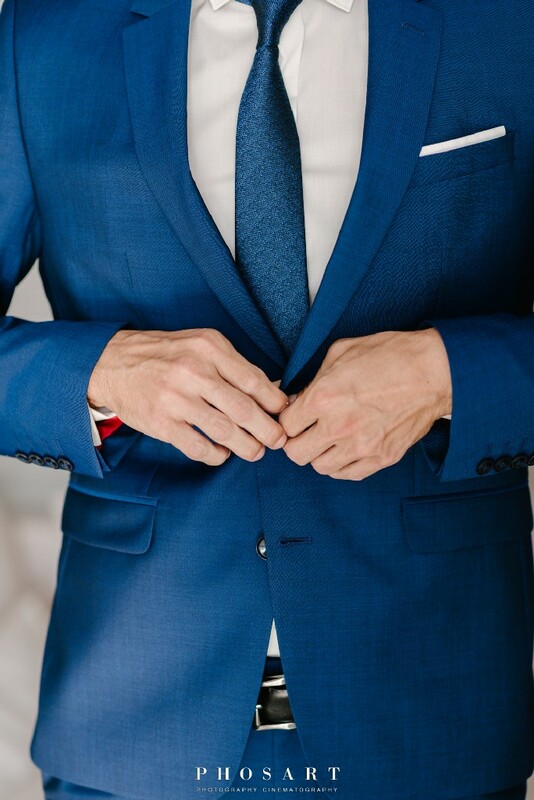 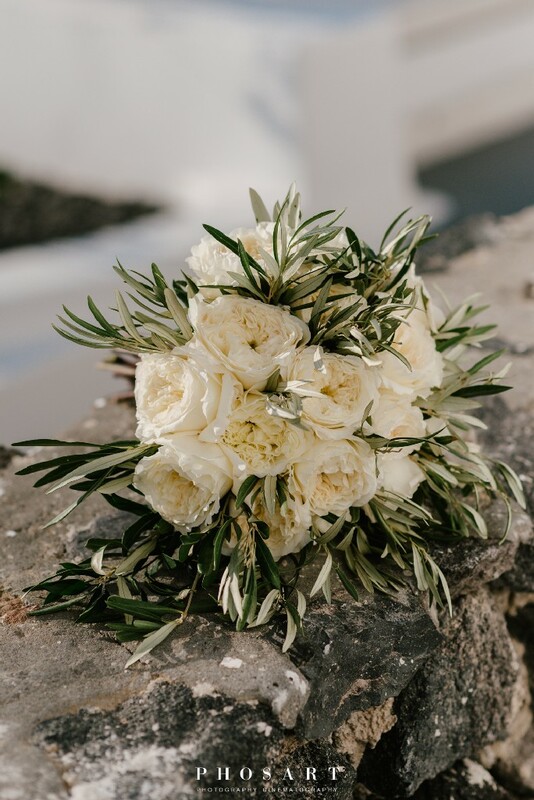 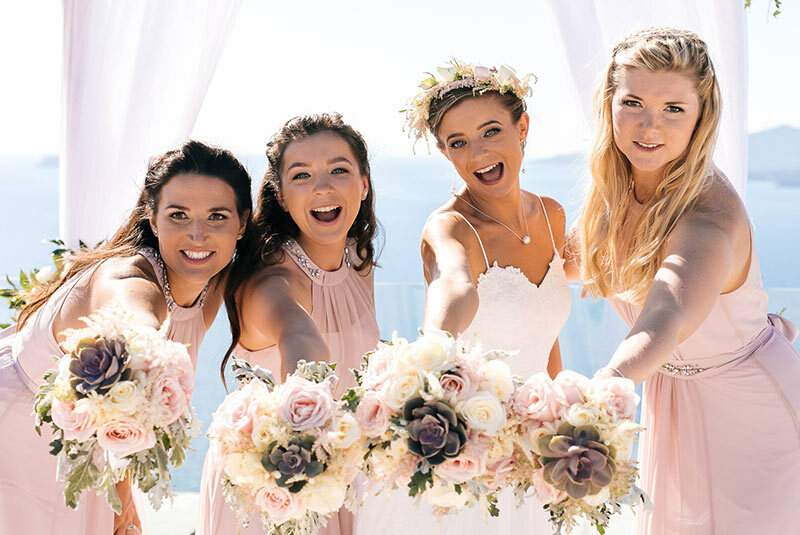 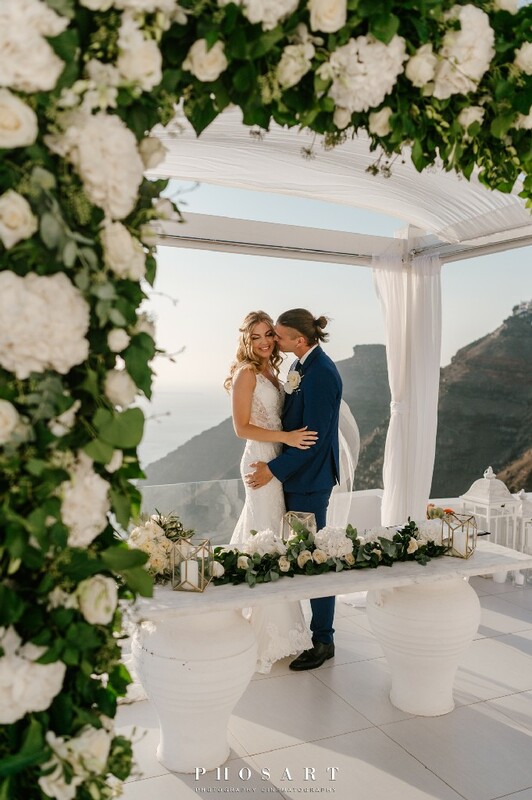 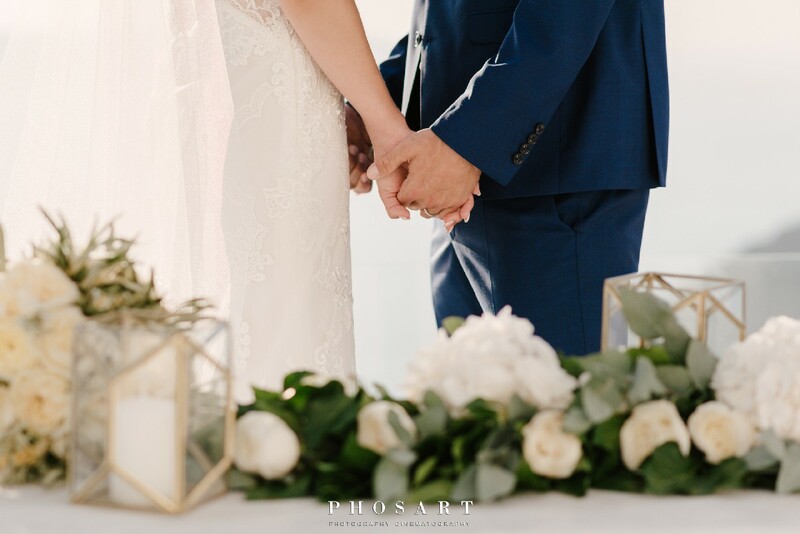 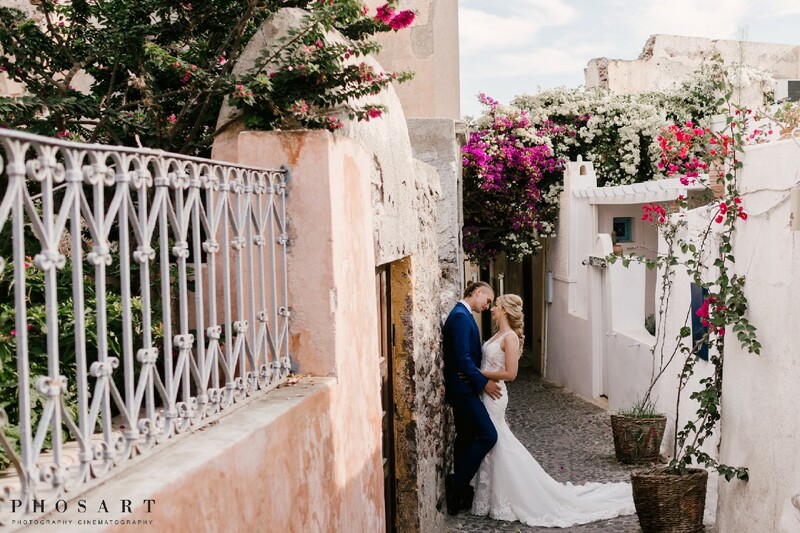 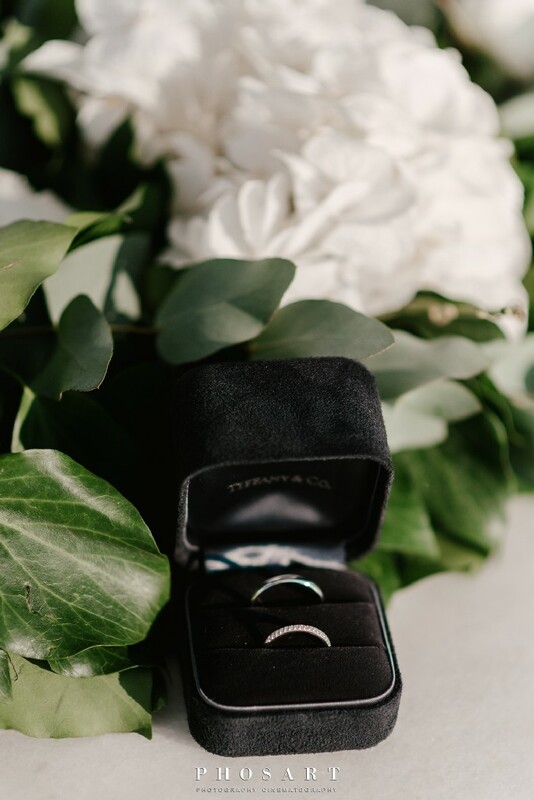 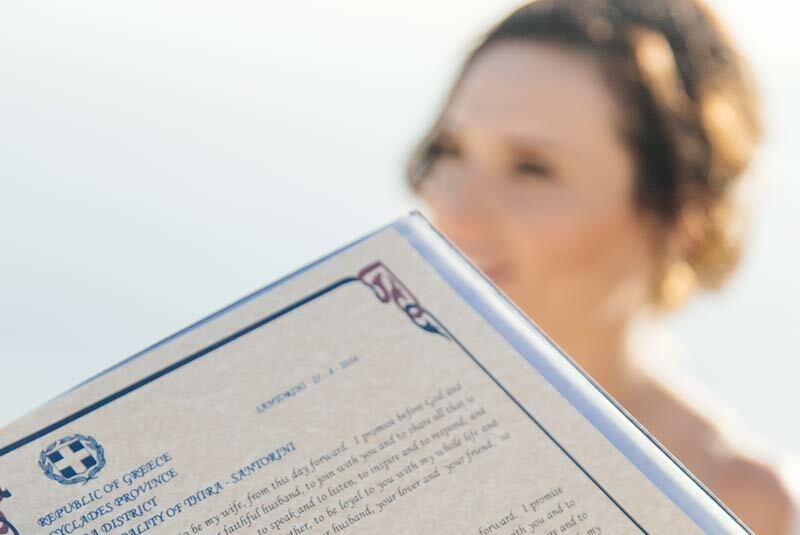 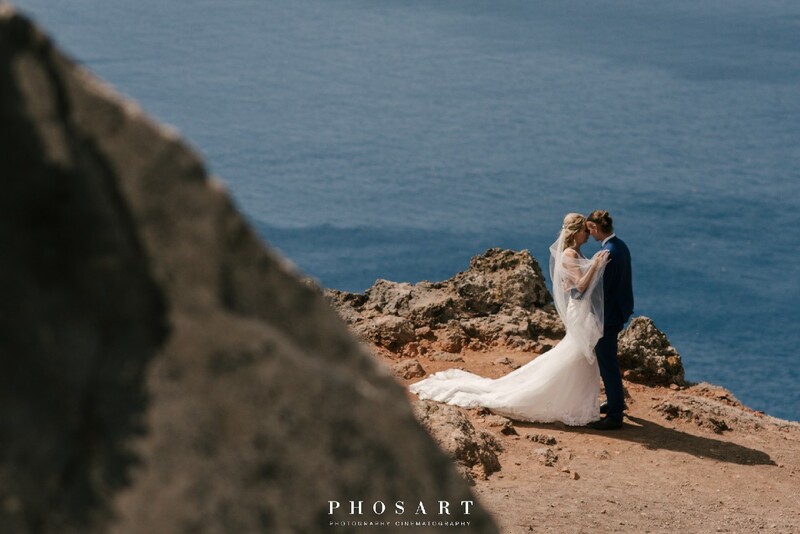 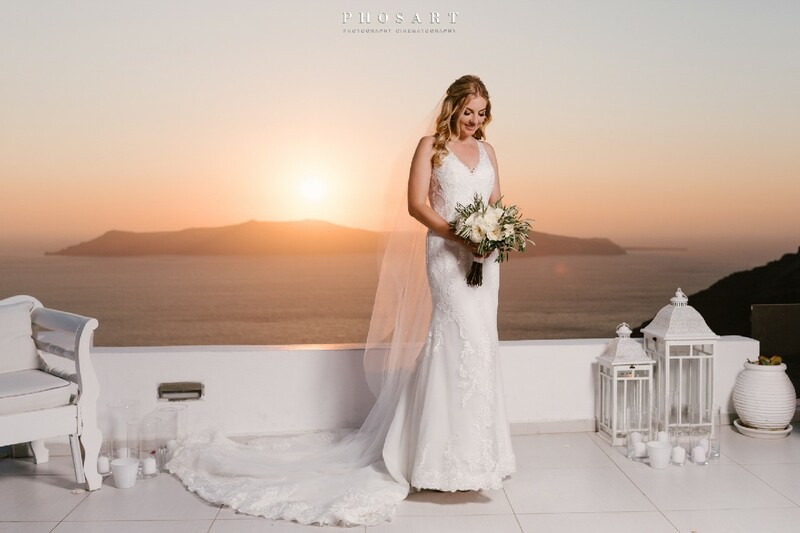 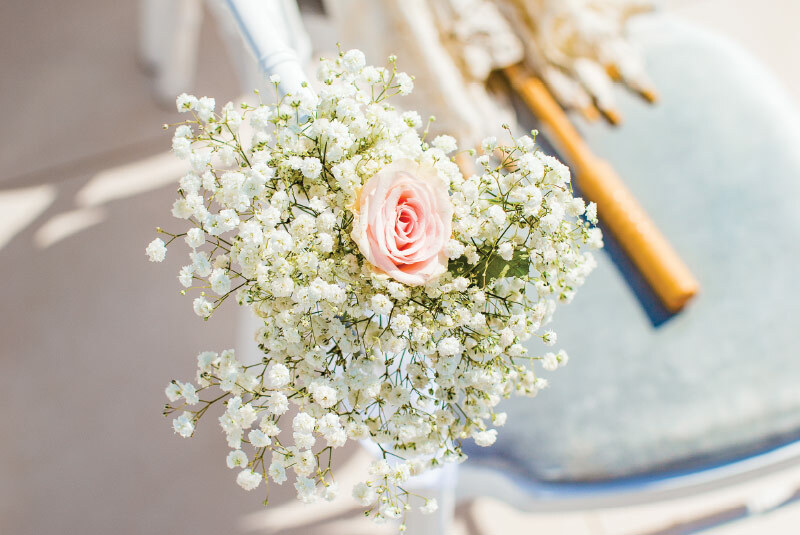 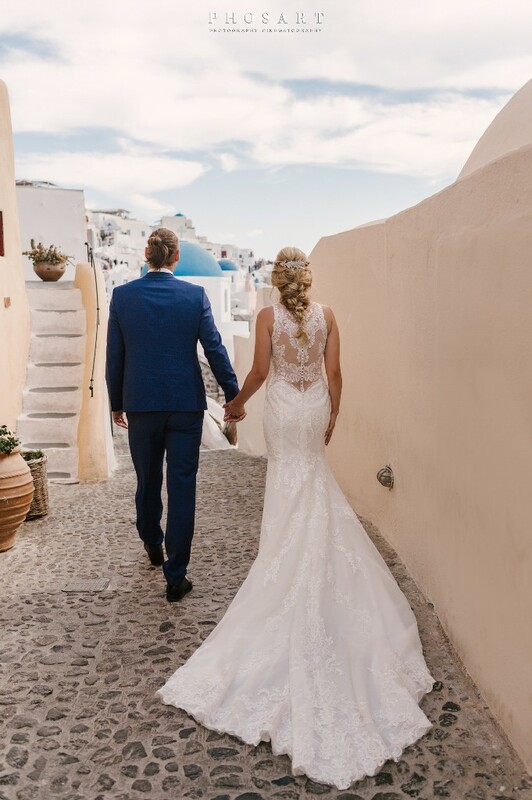 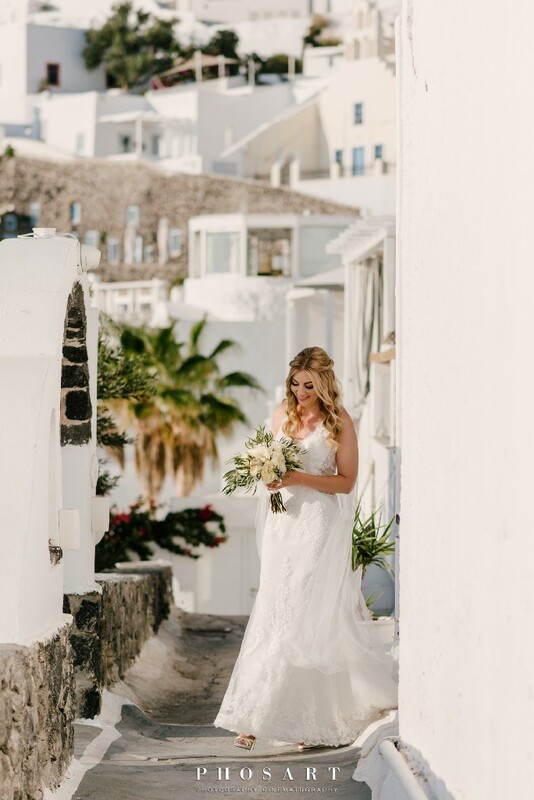 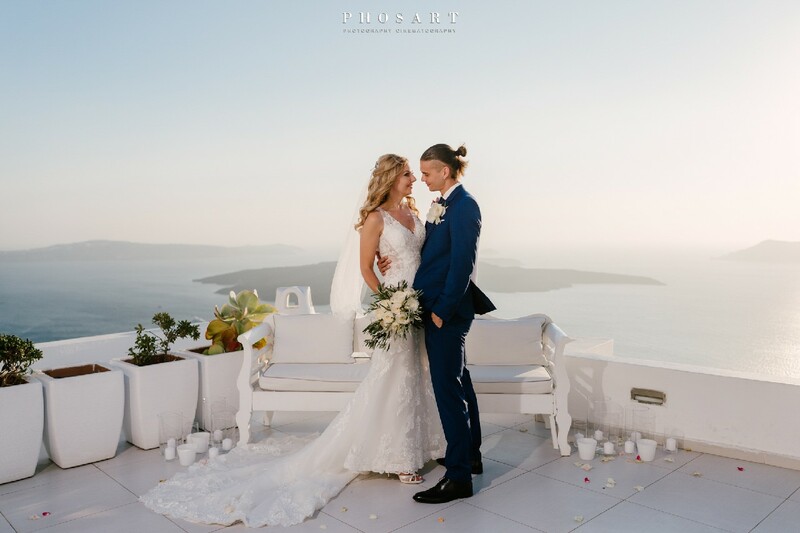 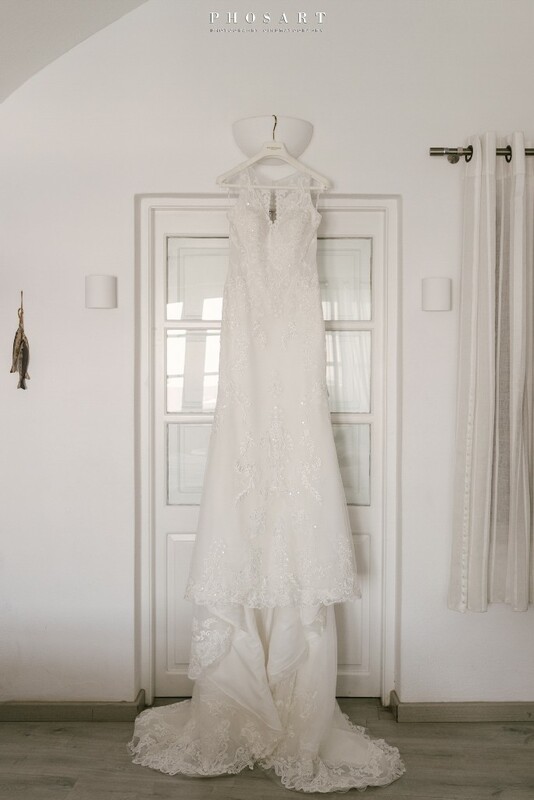 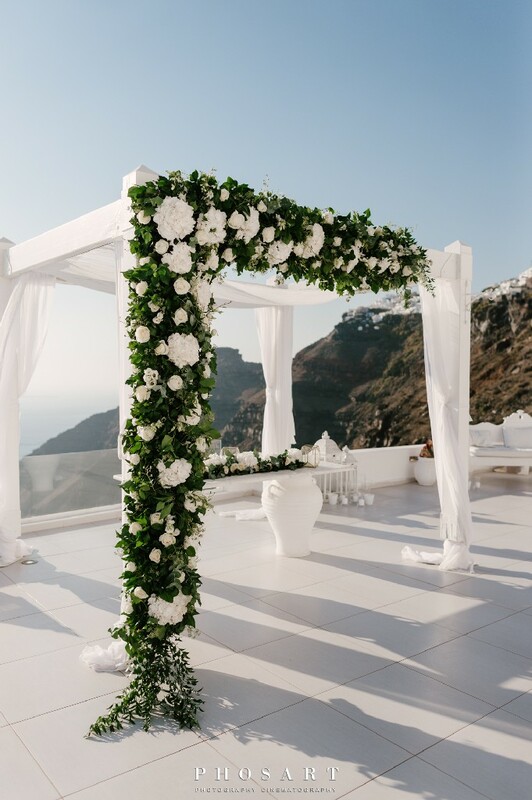 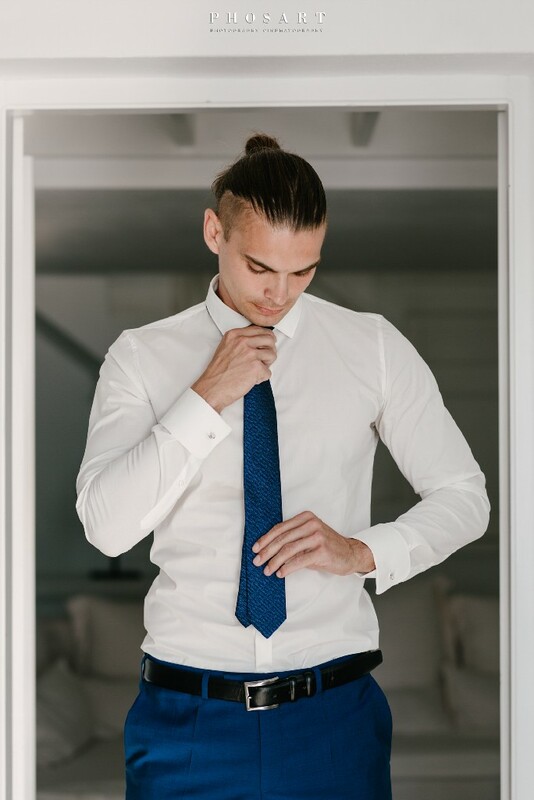 To have a beautiful complete wedding experience, our loving couple enjoyed their after wedding photo shooting in Oia with the narrow paths and blue dome churches overlooking the caldera.